February | 2016 | On The Road in Florida With Idelle! 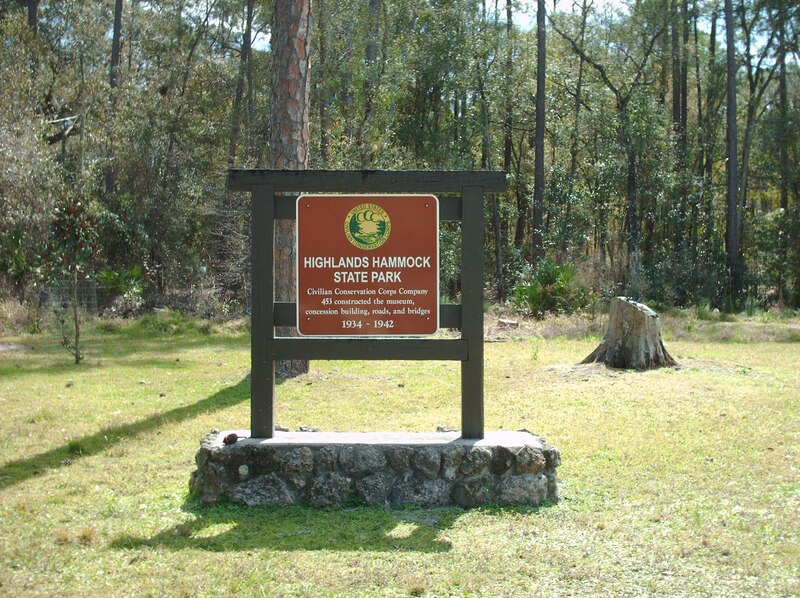 Highlands Hammock State Park located at 5931 Hammock Road in Sebring. The tram tour sold out by the time we arrived. The park ranger told us that people were in line before the park opened at 8 a.m. Surrounded by people having picnics and barbecues throughout the park. The laughter of children playing on the playground. Numerous trails within the park. 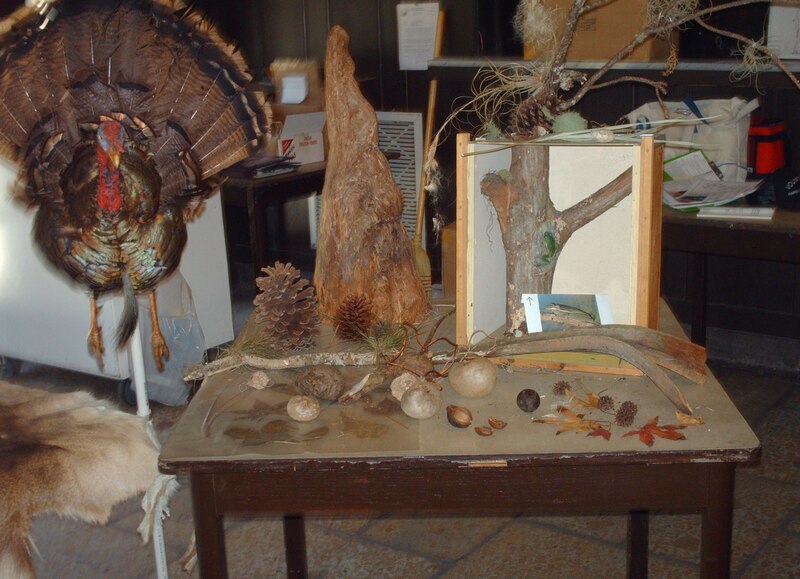 Sign up for a nature walk with one of the trail guides. 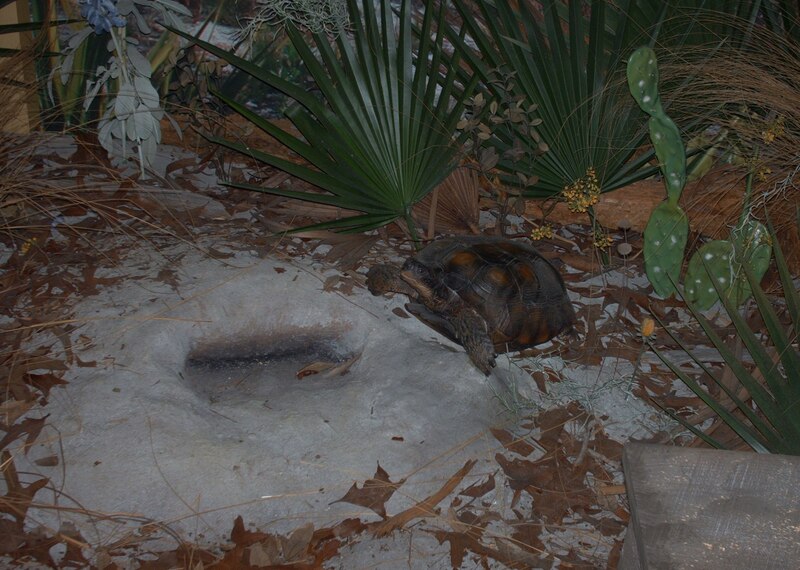 Many different animals on display in the Exploration Station. 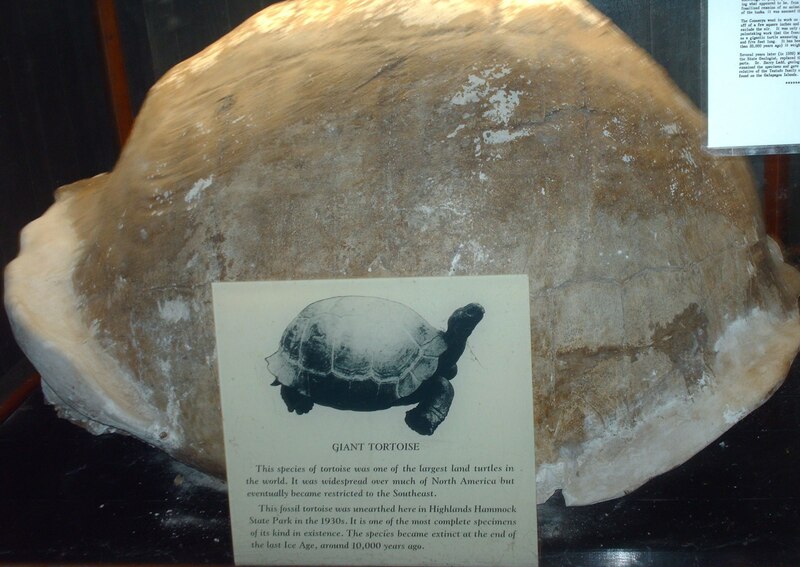 The shell of a 10,000-year old Giant Tortoise, Green Tree Frog, different species of snakes and footprints of animals. Take a pamphlet on the Panther an animal near extinction. Books on mammals, birds, reptiles, waterbirds and amphibians for sale in the museum. 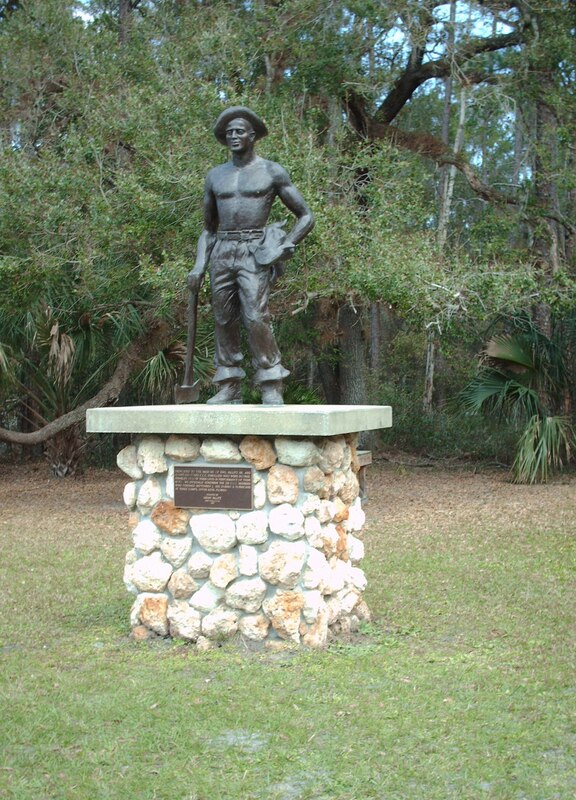 The museum dedicated to the men in the CCC (Civilian Conservation Corps) who were injured, disabled and died performing their duties. Artifacts that the men used donated by family members. Posters of the original 8 parks that became the Florida State Park System. A 15-minute video presentation of the development of the state parks in the 1930s. Some of the men slept in tents; some in barracks. A tent that the officer slept in is on display. 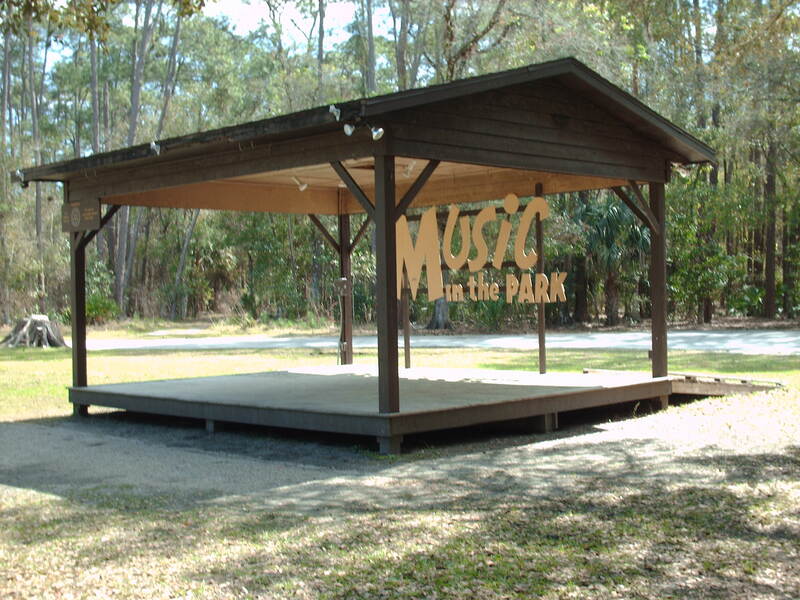 Sit on a picnic table and enjoy Music in the Park performed in the bandstand in March and April. Fees and hours of operation are on the website. Lake County Historical Museum located in the Lake County Courthouse in Tavares. 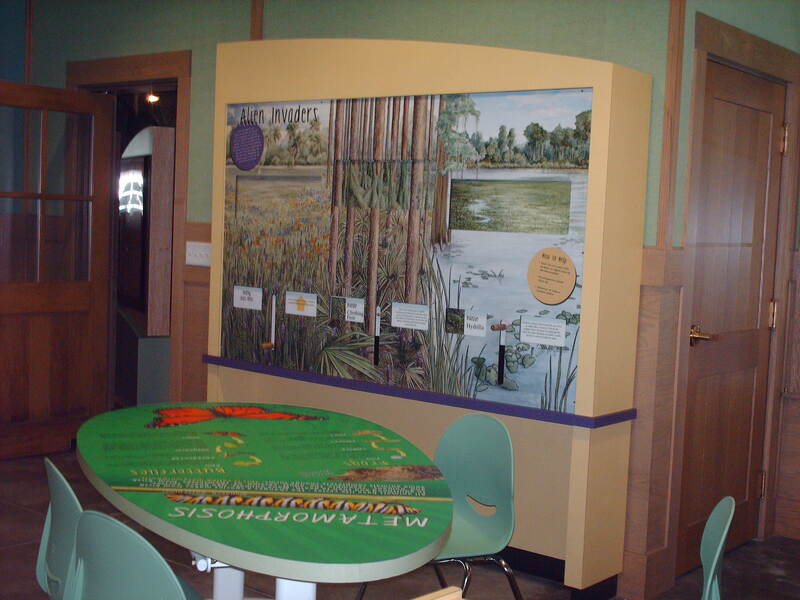 Different rooms in the museum depict early life in Lake County. A wall dedicated to African-American Heritage. The Buffalo Soldiers founded after the civil war served on the western frontier. A photograph of Daniel Keel who served in the Army Air Corps during World War II. A room dedicated to the veterans of Lake County. 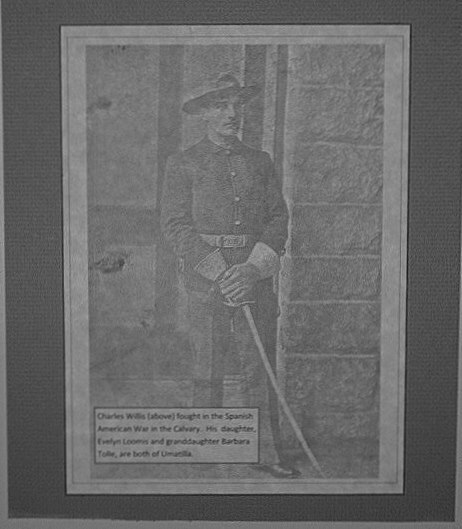 A photograph of Charles Willis who fought in the Spanish American War. His descendants are from Umatilla. Photographs and other memorabilia from WWI, WWII, Korean War and Vietnam War exhibited. A timeline of events chronicled in the story of Lake County. 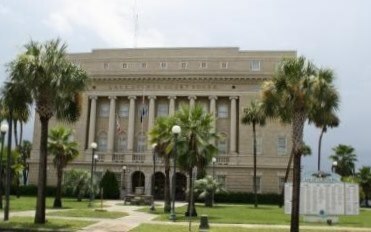 From the early 1880s when Major Alexander St. Clair-Abrams founded Tavares to the Government complex completed in 2013. 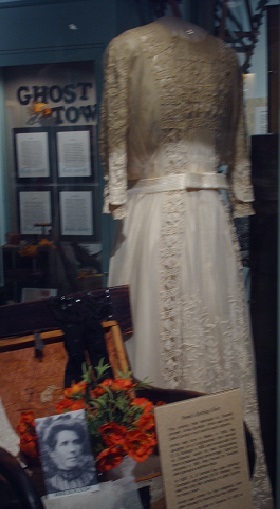 The Duncan family treasures, personal items of Annie Burleigh an early settler of Tavares who shopped in Paris for her clothes and a history of Ghost Towns in Lake County exhibited. Free entrance to the museum; hours of operation on the website. 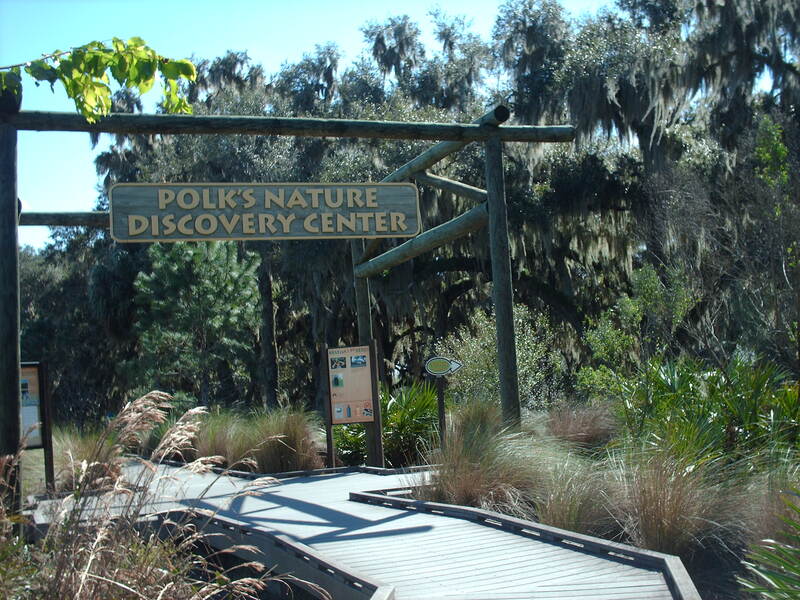 Drive down the one-mile road to the Polk’s Nature Discovery Center stopping for wildlife along the way. 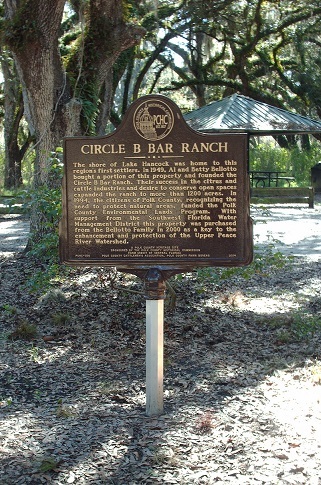 The center located at 4399 Winter Lake Road in Lakeland inside the Circle B Bar Reserve. A Saw Palmetto, Beggarticks, Spanish Needle and Romerillo grow alongside the boardwalk to the center. 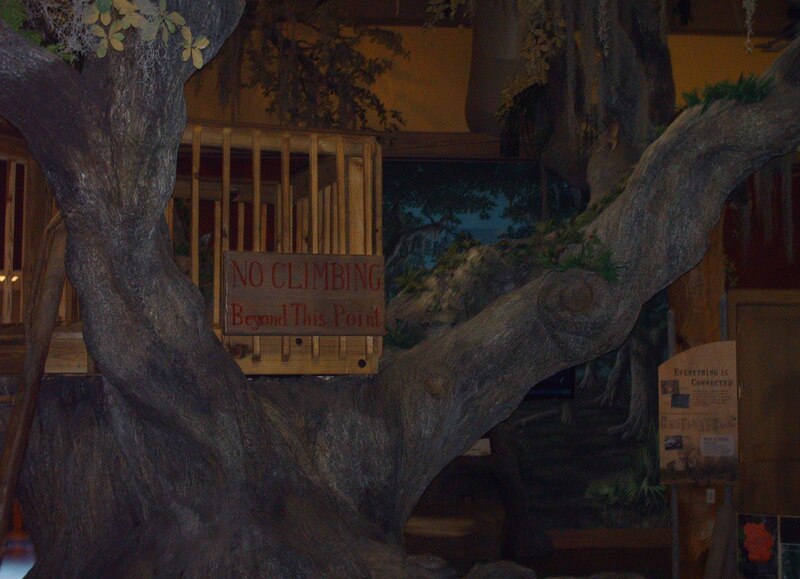 Interpretive exhibits detail the establishment of the Reserve that was once a 1,267-acre cattle ranch. Artifacts in a glass case and video presentations shown in the Orientation Room in the Education Center. 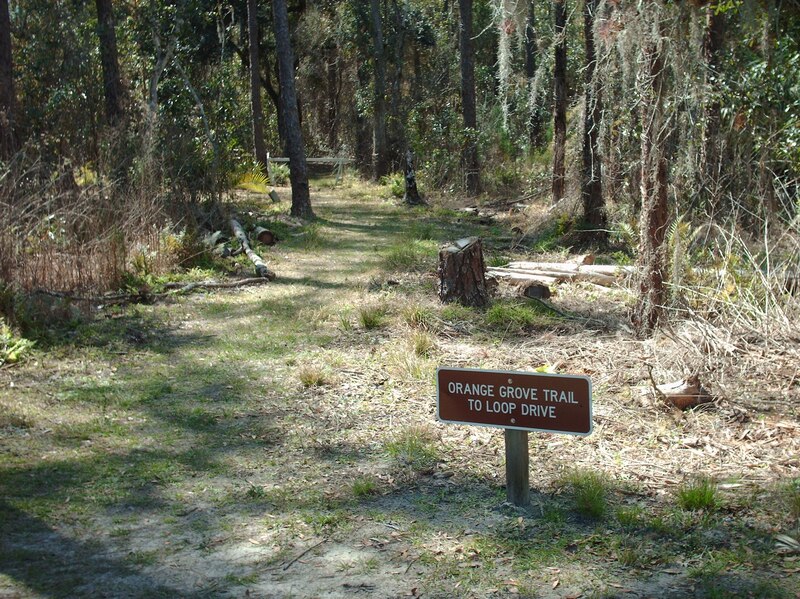 A Live Oak Hammock, Wetlands, Flatwoods and Sandhills are some of the habitats on display. The Exploration Lab show birds on the move, the Life Cycle of a Frog and Butterfly. An Interactive Exhibit show how Alien Invaders destroy the environment. Browse through one of the magazines or books in the Expedition Room. 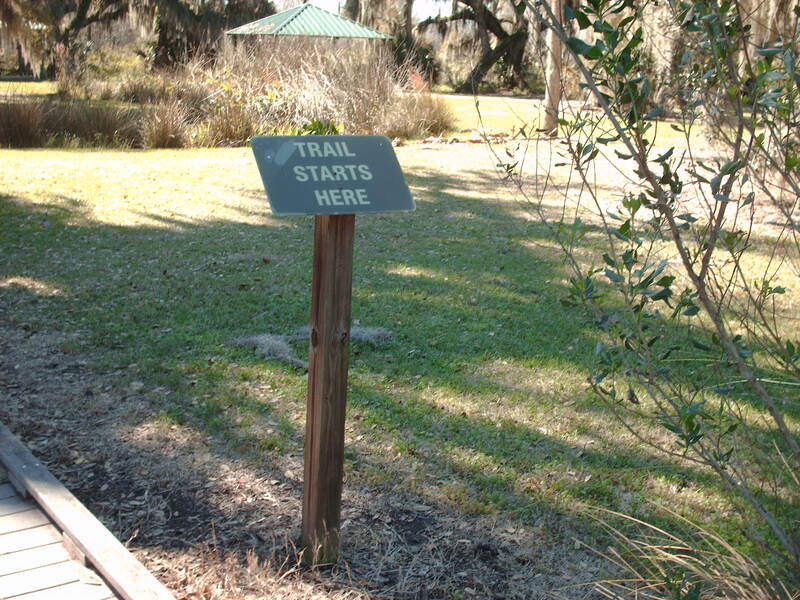 Pick up a trail map and explore the many trails in the reserve. Have a picnic or barbecue in one of the pavilions. Call the Nature Center and sign-up for a tram tour that takes people on a tour of the property. 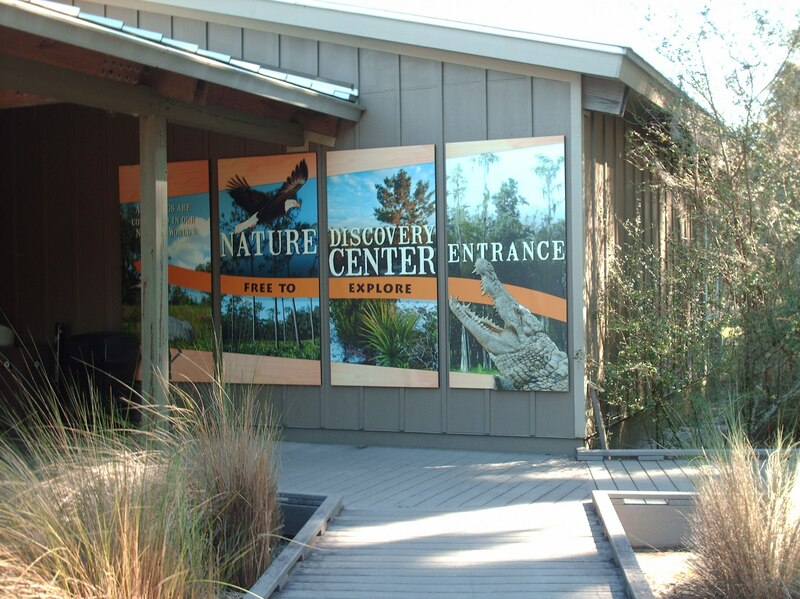 Entrance to the discovery center is free; hours of operation are on the website. May-Stringer Heritage Museum a Victorian home built in the mid-1850s listed on the National Register of Historic Places. 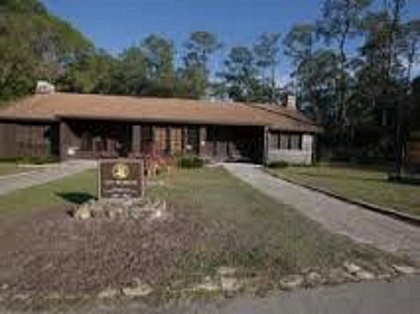 The museum located at 601 Museum Court in Brooksville. The May family bought the 4-room house but only lived there for 6 years. Dr. Stringer bought the house and added an additional 10 rooms that included an attic. Before the civil war, Dr. Stringer added a kitchen. Our museum guides engaged us in conversation as we entered each room. The furniture and photographs all donated by the people of Hernando County. James E. Weeks who founded the hardware store on Main Street that the Weeks family still operates and Mrs. Lykes-Stringer and her granddaughter the only photographs that the guides could identify. Taxed for each fireplace, the house had 4 fireplaces that connected to one chimney. The dining room had a Victrola and a piano. People would sit on the Veranda and listen to music on the Victrola. A small and large spinning wheel on display in the master bedroom. If a groom on his wedding day gave his bride a small spinning wheel he didn’t expect her to do much sewing and housework but if he gave her a large spinning wheel he expected her to do all the sewing and housework. A piece of history in the metal ballot box that had a lock and key. Once the person placed his ballot inside the box, a man on horseback would come to collect it. Many rooms in the house with so much history that I can’t possibly cover. Behind the house is a Memory Garden that has granite benches with the names of the deceased engraved on them. 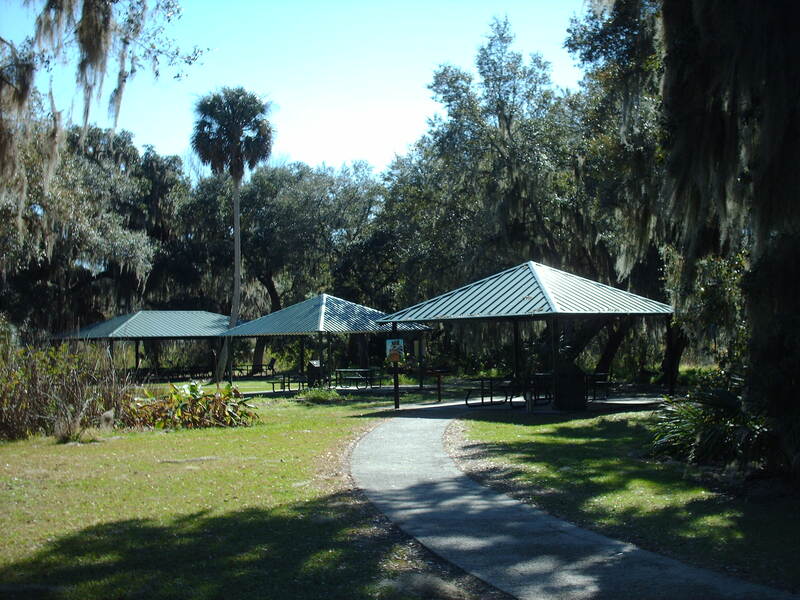 A gazebo that you can sit in and relax among the Laurel Oak. Plants and bushes throughout the garden that people have dedicated to their loved ones. The guides were very knowledgeable. Fees and hours of operation are on the website.